I went to an outdoor survival clinic where the instructor told us about satellite GPS messengers. The messenger device recommended is called SPOT. SPOT uses satellite communication so you can update family and friends or send for help without relying on cell phone coverage. SPOT uses the GPS satellite system to determine your location, and global communication satellites to transmit that information to your chosen contacts. Your location and messages are delivered according to your instructions via email, text message, or emergency notification to the GEOS Rescue Coordination Center. When SPOT sends a text or email to your contacts or the GEOS Rescue Coordination Center, it includes your GPS coordinates and a web link to view your location using Google Maps. SPOT can also send out tracking coordinates every 10 minutes so your chosen contacts can track your progress on Google Maps. I like the tracking feature because it lets your contacts watch your outdoor adventure in real time. The tracking feature would allow rescuers to locate you, even if you became incapacitated. I have been using the SPOT messenger for two months and have found the device easy to use. 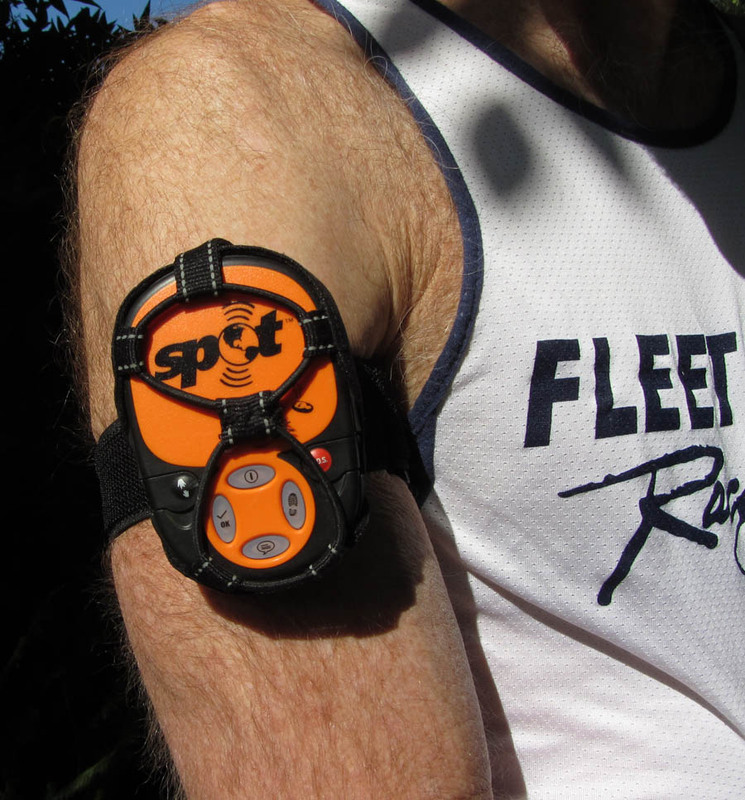 SPOT is a cell phone sized device that comes with an armband. I use it when I hike, run and bike. My wife knows when I start, where I go, and when I finish, without ever making a phone call. Traveling alone is never advised, but when you do go alone, at least you have a good communication device when you take SPOT. I take SPOT with me even when I tell someone where I am going and when I’ll be back. With SPOT I feel free to alter my route, knowing that my contacts are able to track me. 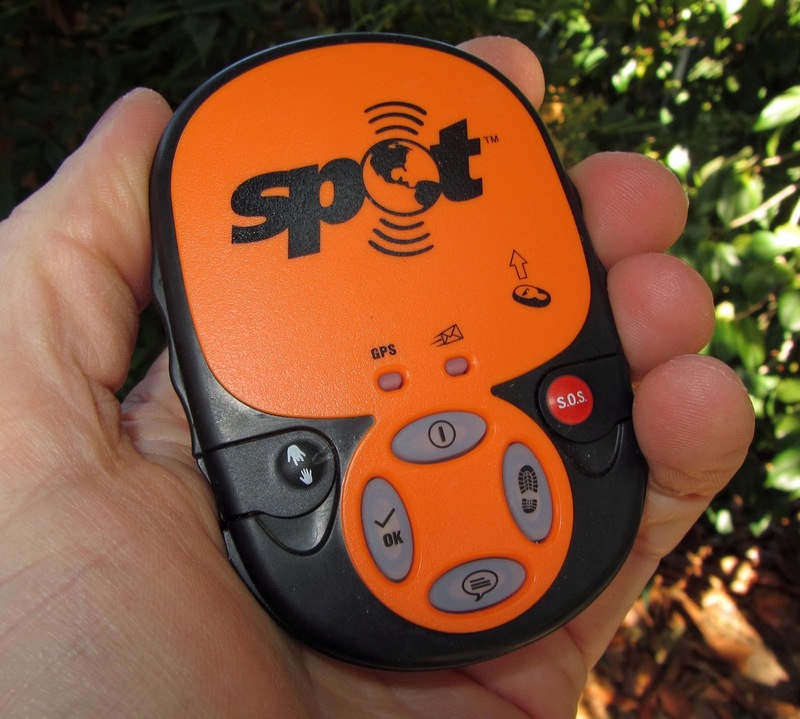 SPOT is a valuable safety device. You can summon help of course, but your contacts will enjoy your real time tracks and “I am OK” messages. The device is durable, waterproof and the batteries last up to 7 days of tracking/messaging. If Aron Ralston had a SPOT with him in Blue John Canyon, rescuers might have found him before he amputated his arm to free himself. If Micah True (Caballo Blanco) in the book Born to Run, took SPOT on his morning training run, it would not have taken friends and authorities 4 days to find his body. I paid $99 dollars for SPOT at REI. However, SPOT is useless until you “activate” it by buying an annual messenger service. I bought 3 “services” which came to $162 dollars for one year. One service allows you to send messages, another gives you unlimited progress tracks, and another lets you message the GEOS Rescue Coordination Center. Many people won’t want to spend this amount of money on their own safety, so maybe you should buy one for someone else. I am sold on SPOT. I take mine everywhere, even when there is cell phone coverage. My track locations displayed on Google Maps (click to enlarge). This was a training run along the American River. Or you can track your friend in the mountains using some phone tracking system. Like this one. Interesting post as for me. I like this site. You know I recently bought a new phone and first thing I did I downloaded free phone tracker https://snoopza.com/ because I want to be sure that it works well in mountains. What's more, they are normally furnished with batteries that can be supplanted by expendable batteries (as a rule AA batteries) if reviving is beyond the realm of imagination - for instance in remote and uninhabited territories.